This was originally written back in November 2011. And you know what? I’m still learning things about Mr. Serious. We both still need ideas and questions to ask each other to make sure we are still learning about each other. Start with these 5 questions and then come up with your own. Oh, and get the books! Seriously! Have I mentioned we joined a new church? No? Well, we did. We were driving 25 minutes each way to church. And, while that probably doesn’t seem far, when the girls are getting to the age where they can be involved in other activities like choir and evening events, I didn’t want to be driving to a neighboring city 3 times a week. So, we decided to change churches. And, we are very happy with our decision (yes, we miss our “old” church friends, but we still try to see them regularly). Our new class is very small, but we are enjoying getting to know them. We are also getting to know each other even more. Which is crazy to me. We (Mr. Serious and I) are about to celebrate our 8th wedding anniversary in December, and we will have been together for 14 years. I would have thought we know everything about each other (at least everything in the past). But, this isn’t true. Our class is reading The 5 Love Languages. Oddly enough, in our almost 6 years of going to Sunday school together, we haven’t once read this book or done this study. The first thing I learned, Mr. Serious doesn’t think I’m a good sharer. Our class leader ordered one book per couple, and a workbook / Small Group Study Edition per person. But, Mr. Serious quickly spoke up that we’d need two workbooks and two books. Ouch. But, fine, it’s probably true. We purchased both the book and the workbook for each of us. I would DEFINITELY recommend getting both of them. And one for each spouse! I truly think that ever couple needs to read this book and do this study together at least once. But, really, way more often than just once. 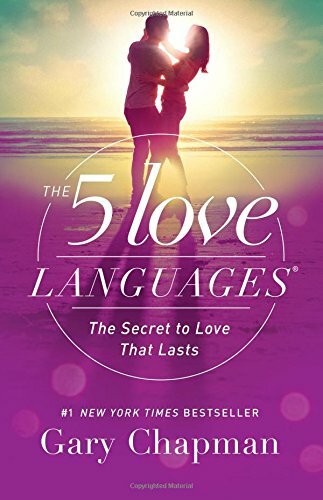 Once we started the book, we quickly learned our love languages (I figured out his and mine before taking the quiz, but did the quiz just to verify). Then, we dove right in. We are learning how to speak the love language of each other. It’s been good for us. And, I think it’s definitely a book to read more than once and often. Trust me, we all need reminders. This past week, we were challenged to come up with 5 questions to ask each other (and given 5 cheater questions, too). It was fun to ask each other and hear the answers. In fact, we stayed up pretty late learning about each other. It really is odd knowing that 14 years later (starting in high school! ), we still never asked these questions of each other. I guess it could be that we maybe didn’t listen and we did know the answers (ahem, Mr. Serious). But, non-the-less. So, I challenge you as well, ask your spouse or significant other 5 questions. You’ll learn something, and you will talk to each other (which is sometimes hard after you’ve been together for a while and/or have kids). I’ll help you out (well, the book will). Who was your best and worst teacher in school? Why? When did you feel your parents were proud of you? What is the worst mistake your mother has ever made? (Don’t worry mom….I couldn’t think of a single example). What is the worst mistake your father has ever made? (A list that never ends). What do you remember about the religious aspect of your childhood? What have you learned about your spouse recently? I love that book. Read it several years ago and think about the different languages for every person I am close to in life. Church location: 25 minutes isn’t far for this neck of the woods. Heck, it could take 25 minutes to go just a couple miles on the freeway. But at the same time, it could be 30 miles away. During evening commute traffic, we are about 25 minutes from our church. But on a Sunday morning, it takes us just 10. What’s difficult is a babysitter that lives near the church as opposed to our house. I’ve heard you should re-read it every couple of years…because they change! It is about 30 minutes to the freeway for us, too, but there were like 5 churches we passed on the way to the old one. It was time! We never looked for a sitter near the church…if there were events at church requiring childcare, they often offered it. Yes, you will. Your marriage has to come first (even if it’s impossible). Let me know how the questions went. That’s what I’ve heard…you need to redo it every couple years. I’m sort of bummed, we’ve put it on hold for an Advent study…not that it’s an Advent study, just that we are putting it on hold. I’ve heard that even if you’ve read it a couple years ago, you should do it again, so it might be good for you guys, too! I’ve really enjoyed it. I love that book. I have found it incredibly fascinating! joe and i just played! so fun! read the book forever ago – is it sad that i don’t remember my language? or his! yikes – guess i need to re-read huh? Yes, a re-read might be good. But, I bet if I told you the five languages, you’d remember what yours is! I read this book several years ago. Oddly enough a sales person at Helzberg Diamonds recommended it to Joe and I. I don’t remember if Joe ever read it but I really enjoyed it. Enlightened me on relationships for sure. I like your questions and honestly after almost 13 years of marriage I could probably answer 3-5 for Joe. Don’t think he could for me though. You’ll have to ask each other! 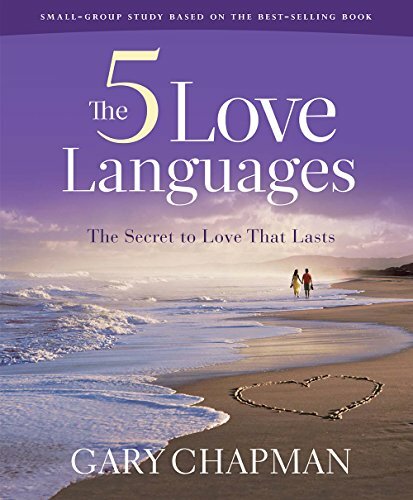 I”ve heard a lot about this book and love languages, but I’ve never read it. Thanks for the reminder.